Gaza City (Palestinian Territories) (AFP) - Five near-simultaneous explosions in Gaza on Sunday targeted members of the armed branches of Hamas and Islamic Jihad amid growing tensions between the Palestinian territory's rulers and extremist opponents. 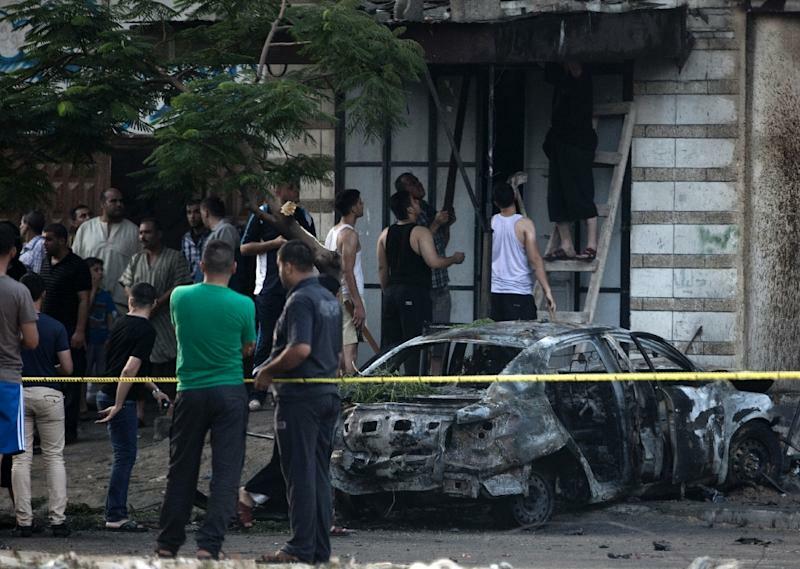 There was no immediate claim of responsibility for the blasts that rocked an area in the north of Gaza City and destroyed five cars belonging to members of the Ezzedine al-Qassam and Al-Quds brigades, the armed wings of Hamas and Islamic Jihad. Witnesses said the explosions that went off at around 6:30 am (0330 GMT) appeared to have been caused by bombs placed underneath the cars parked in front of their owners' homes. 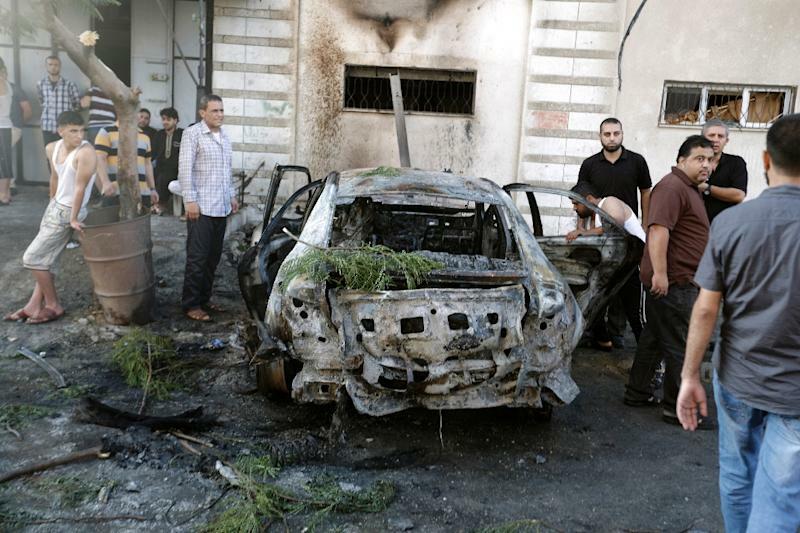 Three of the cars were said to have belonged to members of Al-Qassam and two to members of Al-Quds. Police working under Hamas, the Islamist movement that rules the Gaza Strip, did not say who they believed was responsible, but vowed action against the culprits who "will not escape punishment." Late Sunday, Gaza's interior ministry announced the arrest of "militants suspected of carrying out" the attacks, saying they would be investigated to determine their motivation. It did not say how many suspects were arrested. A series of such attacks in recent months is suspected to have been carried out by Salafist extremists, some of whom claim links with Islamic State group jihadists, though experts have expressed doubts over whether there are any true ties between them. Sunday however marked the first time Islamic Jihad was targeted. The extremists view the militant group as part of the establishment in Gaza. There have been growing signs of internal unrest in the Gaza Strip, with Hamas engaged in a power struggle with smaller extremist groups in the coastal enclave of 1.8 million people ravaged by three wars with Israel in six years. Gazans who have gone to fight with the Islamic State group in Syria recently released a video calling for Hamas to be toppled in the territory. Al-Qassam and Al-Quds released a joint statement on Sunday saying "the culprits of the violence are in the camp of traitors" without providing further details. "Guilty hands are attempting to attack the resistance by blowing up its fighters' vehicles, which only serves the occupier and its objectives," the statement said. Occupier refers to Israel. A spate of attacks has targeted public buildings, officials, international organisations and others seen as linked to the establishment in Gaza. In May, mortar rounds were fired at a base for Al-Qassam in an incident claimed by a group calling itself Supporters of the Islamic State in Jerusalem, which has also taken credit for recent rocket fire into Israel. Salafist groups have been angered by a Hamas crackdown and claimed in recent weeks that around 100 of their members or supporters were behind bars. They also criticise Hamas for what they see as its lack of zeal in enforcing Islamic law as well as for its truce with Israel since last year's war in the Gaza Strip. 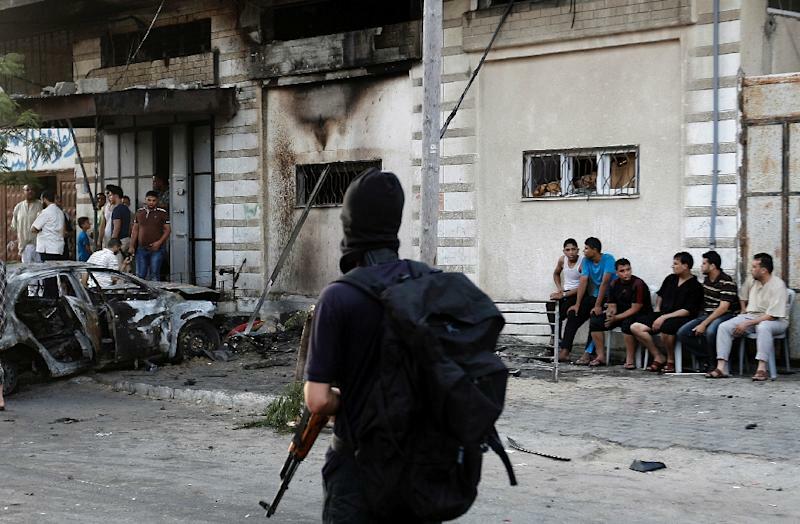 Experts warn that the appeal of jihadist groups is growing, particularly among Gaza's disaffected youth who have been particularly hard hit by conflict, grinding poverty and soaring unemployment and feel let down by traditional Palestinian nationalist movements. Dozens of young Palestinians with few prospects have left Gaza to fight in Iraq or Syria, while others have been drawn towards jihadist groups involved in a deadly insurgency against Egyptian forces in the Sinai Peninsula. Such fears have in part led some to call for an easing of the Israeli blockade against the Gaza Strip in hopes that conditions will improve. Gaza's border with Egypt also remains strictly controlled.